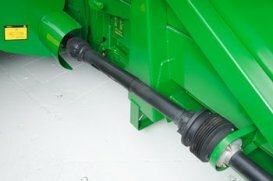 Each of the outer two rows of the 708FC fold hydraulically from the cab to allow for narrow transport width during road transport between fields or for storage. 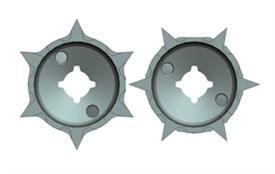 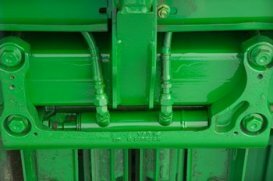 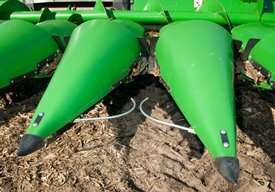 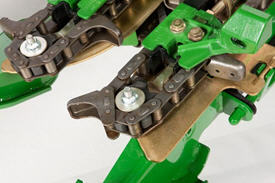 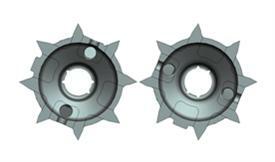 Reduces non-productive harvesting time used to mount header to a transport trailer and reattach it to the combine at the next field. 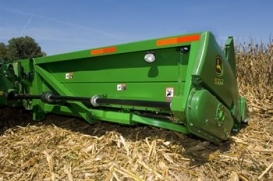 Two large, durable-frame folding cylinders provide smooth hydraulic force to move the corn head wings from the working position or field position to the transport position. 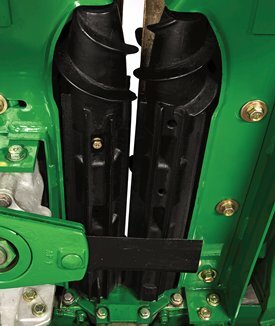 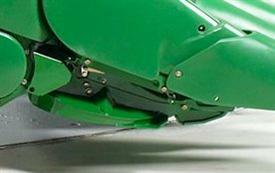 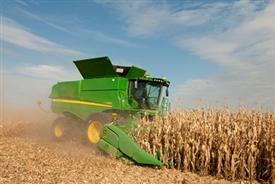 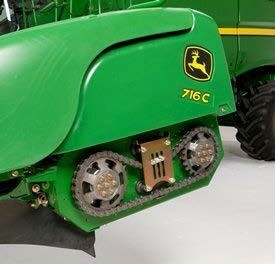 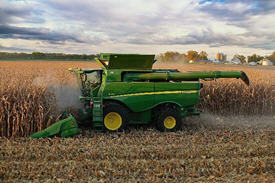 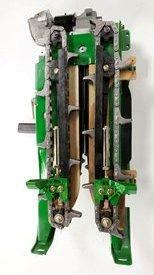 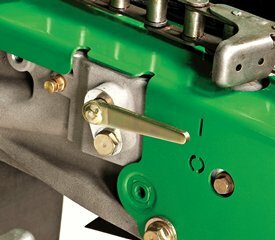 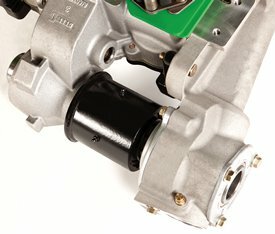 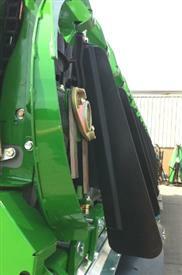 The control of the 708FC folding function is integrated into the operator cab of S-Series Combines. 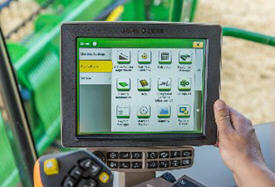 Operators can fold the 708FC quickly and easily from the 4600 CommandCenter display screen without leaving the cab.